Born on December 17, 1969 on Santa Barbara, California, Chuck Liddell is a professional MMA fighter who is best known for being a former Ultimate Fighting Championship light heavyweight champion. He is also largely credited for bringing mixed martial arts into the mainstream American sports and entertainment. Young Liddell started studying Koei-Kan karate at the age of 12, eventually becoming a four year starter on the football team at San Marcos High School. He became a Division I wrestler at California Polytechnic State University in San Luis Obispo, where he graduated with a degree in business and accounting in 1995. Liddell made his UFC debut in 1998 with a decision victory over Noe Hernandez. This was followed with a submission loss to top contender Jeremy Horn, but was drowned by victories over Kevin Randleman, Murilo Bustamante, Vitor Belfort, and Tito Ortiz over the next few years. By 2002, he was widely regarded as the number one contender for the UFC light heavyweight title. Soon, he faced former heavyweight champion Randy Couture at UFC 43, and lost. 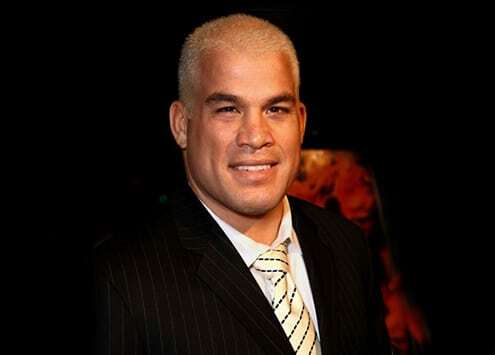 The following year, he returned to UFC and was once again matched with Ortiz. Due to a falling out, Ortiz refused to give Liddell a title fight. Eventually, however, Ortiz lost the title to Couture. Liddell won via TKO. In 2005, Liddell became coach on the rookie season of Spike TV’s reality show The Ultimate Fighter, opposite Couture. That season produced Forrest Griffin. The two coaches, meanwhile, met again at UFC 52 for the light heavyweight title, with a knockout victory for Liddell. Liddell would reign as the Light Heavyweight champion from 2005 to 2007, and in that time his name would become synonymous with Mixed Martial Arts. With his newfound fame, Liddell would appear in various facets of the media. In 2007 he won Spike TV’s Guys’ Choice Award for being the “Most Dangerous Man”. He’d appear on television, in programs such as Entourage and Punk’d, and would make a movie appearance in, Drillbit Taylor. He was also the first UFC fighter to grace the cover of ESPN The Magazine. In April, 2009, UFC President Dana White announced Liddell’s retirement after a first round defeat from Mauricio Rua at UFC 97. The same year, he was cast as one of the celebrities competing on the ninth season of Dancing with the Stars.